THE DAYS RUN AWAY LIKE WILD HORSES OVER THE HILLS intimately explores ideas of female identity and womenhood. 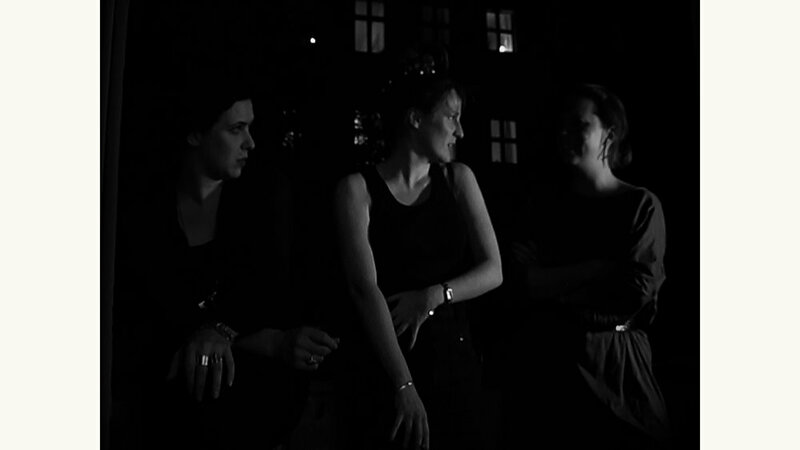 Set in Berlin and in a small town in Poland, DAYS takes place in the closed space of private homes and the oddly contained worlds of public spaces; Filmed in both black-and-white and colour, DAYS features stark, candid performances from its cast, and slips between documentary and dream-like narrative. What is the connection between these women? Are they alternate realities of the same life? Are they converging memories of an entire lifetime? Under the winter sky, they wonder what they might become and what might have become of them. Time passes ever slower. I was raised mainly by women. Women will be seen throughout the film. But the film is not about women. If it is, it is only so in passing. The femininity of the actresses forms a backdrop to a story about existing in a state of alienation from oneself and from the world. ‘THE DAYS...’ arouse out of a need to portray my life between Germany and Poland: to bring the intimate spaces and the relationships of these two worlds together in cinema. It is the first attempt to make accessible to a viewer these two realities that coexist within my mind. The thought of how such diverse realities or mental states can coexist simultaneously within the world, or even within a culture or society, has occupied me from childhood, and can be seen in my first full-length feature film Sieniawka, about a hospital for the nervously and mentally ill. The present work’s perspective is even more personal, as I will elucidate my own private sphere through cinematic space: my internal world will be brought to the stage, so to speak. The cinematic representation of everyday life within ‘The Days...’ is not without dramatic or stylistic interference. By showing the everyday lives of the protagonists, the cinematic narrative is able to closely reflect our present. In a series of different life situations potraying various state of minds the film depicts how our self-perception changes in time and how we experience the passing of time in youth and age. All the women who appear in the film are or have, at one point in my life, been close to me. My relationship to each of them remains unknown to the viewer. It is my intention that, with this work, focus is paid on self reflection, leading to a space where the actors are able to improvise before the camera. As with my previous work, I want the camera to attain an absolute closeness whilst remaining invisible, creating a fictional space and framework in which the viewer can imagine and create their own fiction. The viewer, like the people in the film, will be transported to the stage of everyday life and motivated to reflect upon themselves. The aforementioned procedure allows me to work both intuitively and improvisationally: with thoughts, ideas and themes originating organically in the moment. I believe in a form of discursive film making, for a method of film making that follows closley my own life and by doing so is able to show the theatricality of the everyday. Appearing within: my ex-girlfriend, female friends, my mother, my great aunts, my grandmother and her friends.